Got boys? 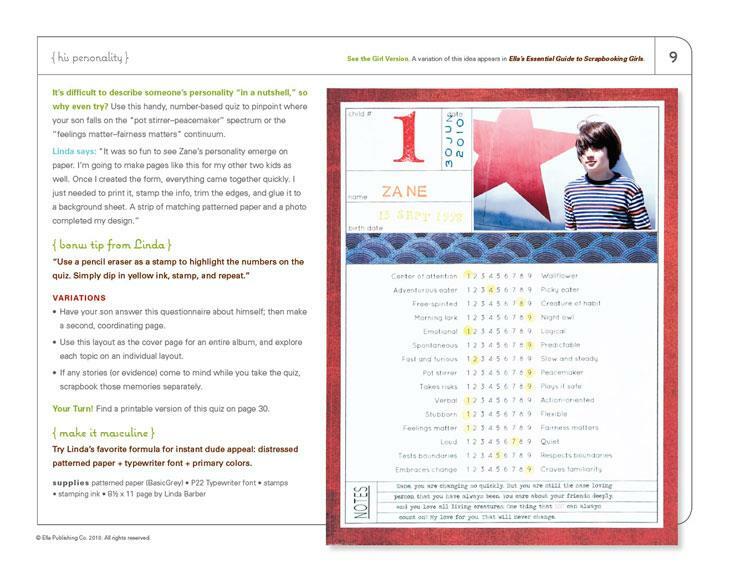 Whether you're raising one little dude or several, this guidebook is here to help you make sure you capture all the details of who they are. Take a peek into their pockets. Have them take a quiz to reveal their hopes and dreams. Showcase their greatest creations inventions. Share their penchant for damage and destruction. From "things that go" to "games and sports," this guidebook truly has it all! 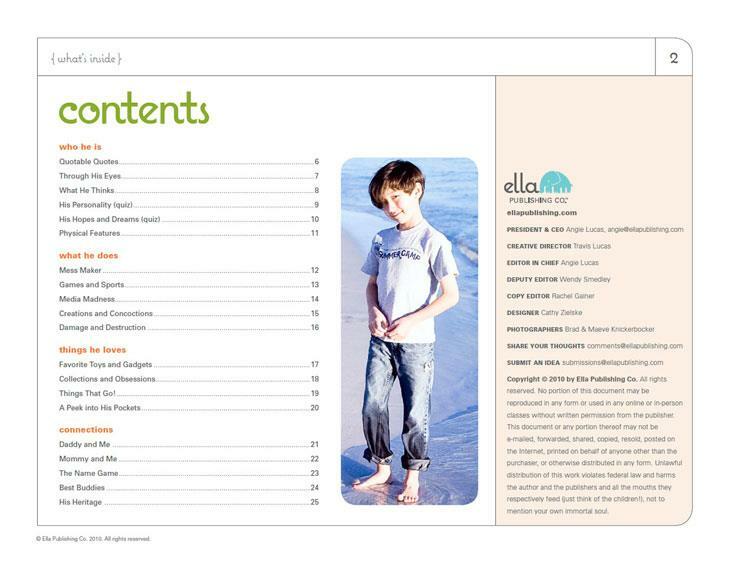 We invited five moms of boys (and only boys) to brainstorm a list of 20 essential “dude” topics and create incredible layout examples for each. 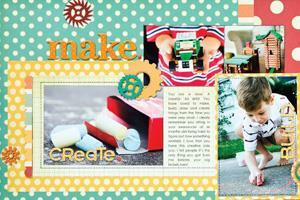 They offered up their best ideas for making their sons' layouts meaningful, authentic, unique, and, well, masculine. And with 15 boys, ranging in age from 3 to 19, these women know a thing or two about muddy boots, grass stains, dump trucks, and video games. p.s. 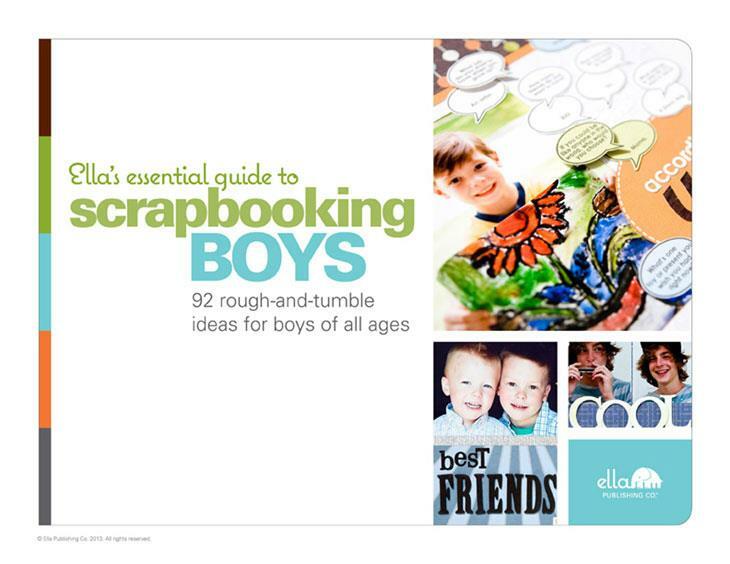 We have an Essential Guide for Scrapbooking Girls, too! Available now. Linda Barber, Kelly Goree, Georgana Hall, Wendy Smedley, and Celeste Smith are mothers of strong, silent types and sweet, sensitive sons that range in age from 3 to 19. 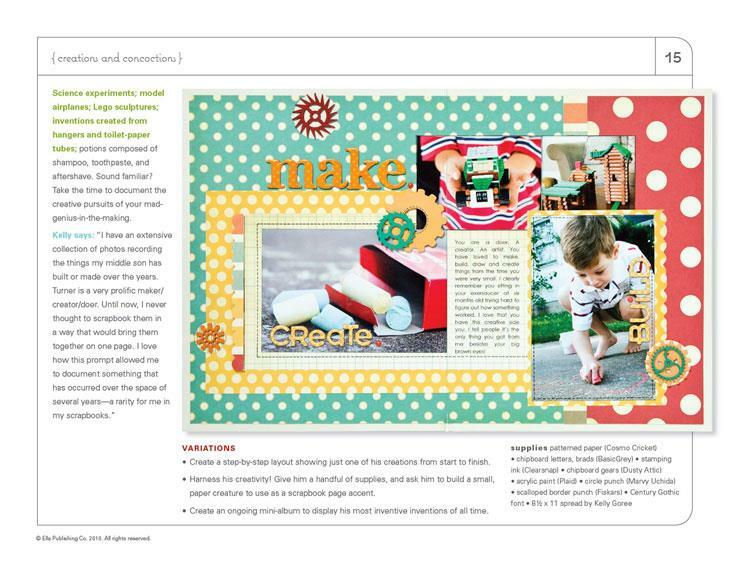 Some super simple, some more on the artsy side, these passionate scrapbookers can be found raising their sons (and scrapbooking about them) in Connecticut, Pennsylvania, Kentucky, and Utah.